Christina Aguilera Unforgettable perfume, a floral oriental fragrance for women launched in October 2013, is Xtina's 6th celebrity perfume. The scent, promising to leave an impression, includes top notes of plum and pomegranate, a floral middle with night blooming jasmine and Turkish rose, with the perfume's dry down aroma of cashmere, vanilla, and tonka absolute. Christina's celebrity fragrance is available in 1.7oz and 1oz eau de parfum spray, and matching body products. Leave an impression that will endure forever. 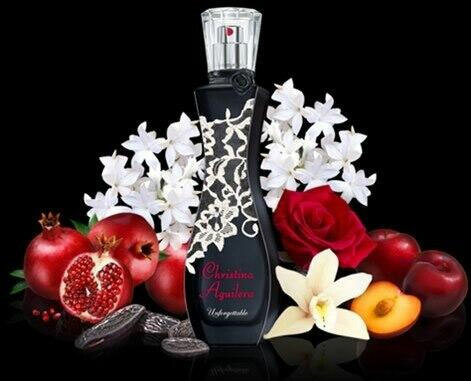 Unforgettable is the new fragrance from Christina Aguilera's award-winning-collection. We all want to be remembered. Unforgettable takes you there.